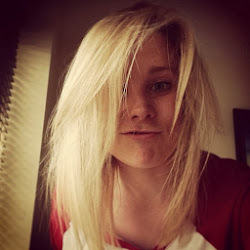 Firstly, apologies for my lack of blogging i've been feeling rather sorry for myself this week after being struck down with the worlds worst cold & spent a few days curled up on the sofa drinking copious amounts of tea & lemsip however, I'm back to share with you our belated but very time appropriate 'Funday Monday' antics! The weather was far too awful for our original plans so we decided to stay indoors and get into the Halloween spirit. 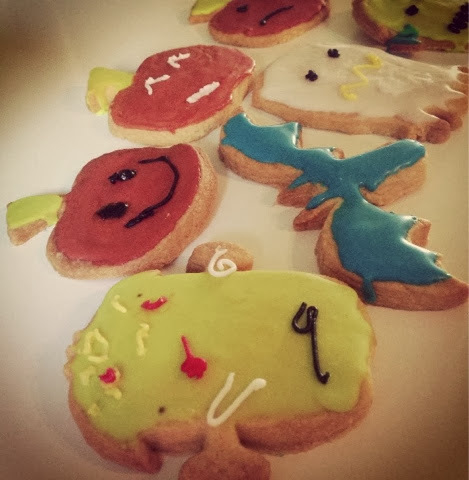 After decorating our lounge with pumpkin fairy lights and bunting, we made some Halloween biscuits! 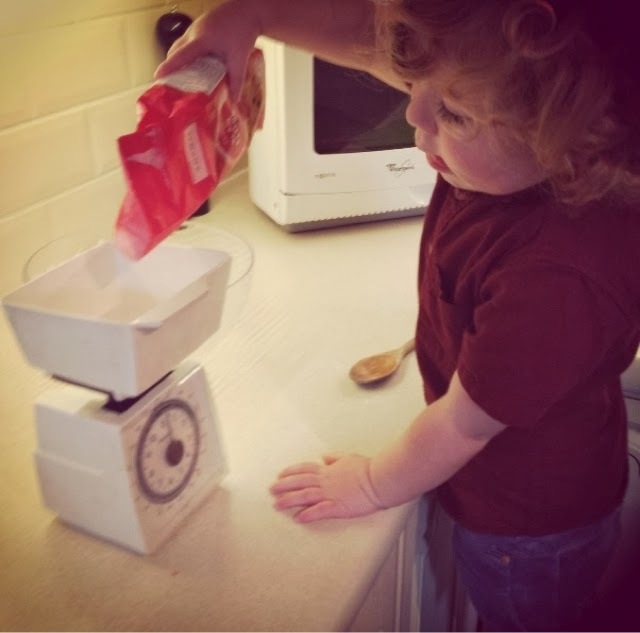 They were super fun and easy to make, Freddie wasn't too interested when it came to decorating but he enjoyed measuring, mixing and baking! 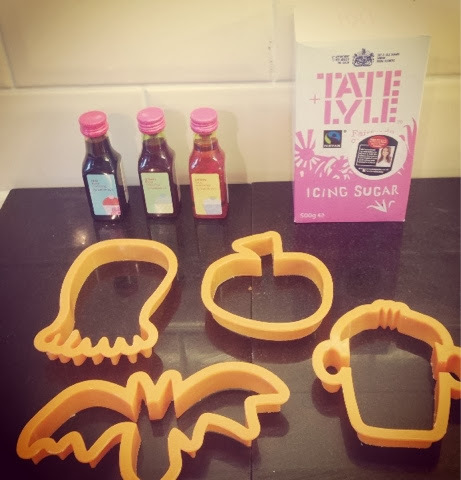 We used biscuit cutters from Sainsbury's which we'll keep for years to come! 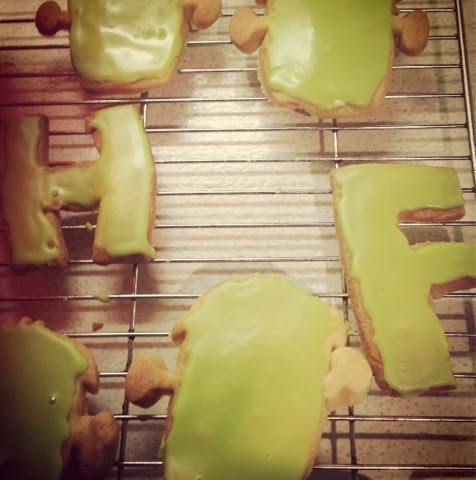 We also had to hand cut an F and H for Freddie and his friend Harry with the left over dough. I've included our recipe below & be sure to link me in the comments if you try these too! In a large bowl mix the softened butter and caster sugar together using a wooden spoon, add the egg yolk and vanilla extract. Sift over the flour and mix until combined. 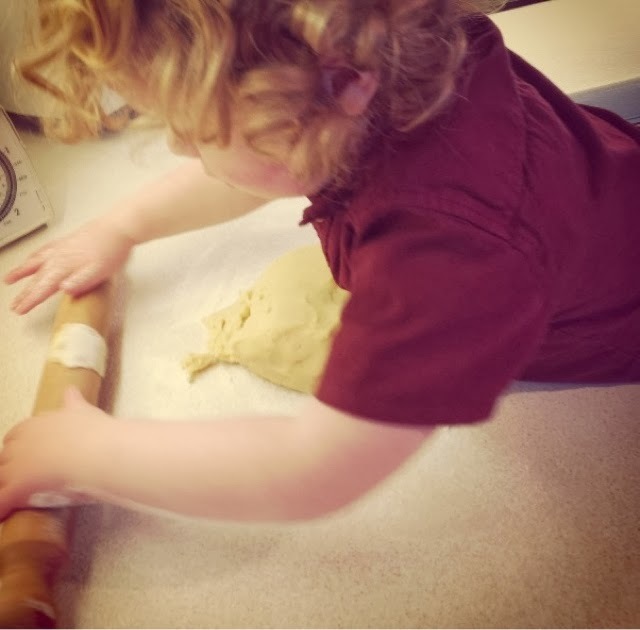 It's then best to use your hands to press the mixture together into a ball shape, wrap in cling film and pop in the fridge for half an hour to cool. After half an hour flour you surfaces and rolling pin, about 3cm thickness is what you're after. Use your biscuit cutters, place cut out shapes onto a lined baking tray and bake for about 12/15mins in a pre heated oven at 160c. 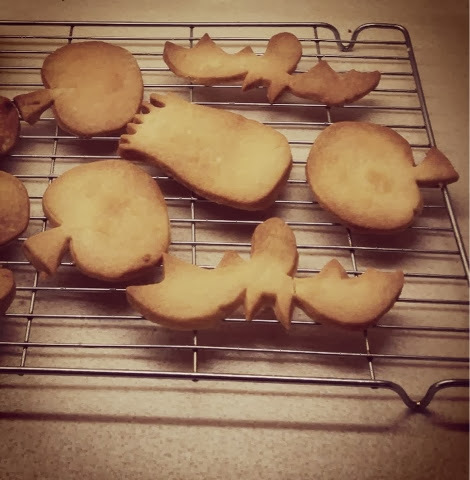 Allow biscuits to cool before decorating!